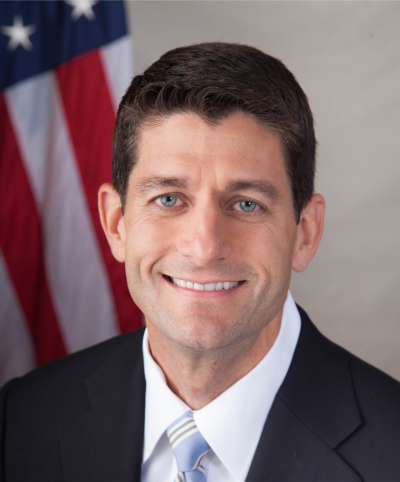 Ryan awakened Thursday morning one step away from succeeding John Boehner as House speaker – ousted by a palace coup. He wasn’t conservative enough for hardline Republicans. As expected, House members elected Ryan as his successor, receiving 236 votes, a comfortable margin of victory – winning in the Republican dominated body after Majority Leader Kevin McCarthy withdrew his candidacy and Ryan bested Rep. Daniel Webster (unrelated to the 19th century statesman/politician by the same name) decisively – by a 200 – 43 margin among Republican members alone. The position is second in line to the presidency if its incumbent dies, is incapacitated, resigns or gets removed by impeachment. Ryan’s ascendency lurches Washington further to the right. His neocon credentials are scary. He wants more spending for wars and militarism, less for social programs. More on the latter below. He rants about ‘keeping America strong,” supports its heavy intervention hand anywhere it wishes, serving US interests at the expense of all others. In 2012, he was Mitt Romney’s running mate. His “Path to Prosperity: A Blueprint for American Renewal” at the time prioritized gutting vital social programs millions of Americans rely on. He wants Medicare and Social Security privatized en route to ending them altogether – Medicaid, food stamps, and other social programs gutted. He supports Americans having anything they want as long as they pay for it, mindless of unaffordability issues for half of US households, living in poverty or bordering it. Social Security and Medicare are bedrock social programs – funded by worker/employer payroll tax deductions, federal insurance programs, not entitlements, contractually obligating Washington to pay benefits to eligible recipients. Ryan and likeminded Republican and Democrat neocons infesting Congress want these vital programs ended – to assure unrestricted military spending as well as sustained handouts to Wall Street and other corporate favorites. In 2011, he proposed eliminating Medicare altogether. It passed the House but not the Senate. He wants America’s wealth handed exclusively to monied interests already with too much – ordinary people left on their own out of luck, accelerating the thirdworldization process, a deplorable race to the bottom. His ideal society is no fit place to live in, his “Path to Prosperity” returning America to 19th century harshness if implemented. He believes everything government does, business does better, so let it operate unrestrained by regulatory controls. He represents America’s 1% at the expense of its great majority. He’s one of them, his estimated net worth at between $4.5 and $7.4 million. He supports socialism for the rich, law of the jungle for ordinary folks. As House speaker, he has enormous power, especially with strong neocon support. Expect him to take full advantage at the expense of millions of disadvantaged households deserving better, no matter who succeeds Obama in 2017. America is a fascist police state, a belligerent nation waging endless wars of aggression. Every Republican and Democrat presidential aspirant supports an ideologically over-the-top agenda – risking global war for power and profit. Don’t let their rhetoric on the stump fool you.